Barnes & Noble is bringing digital proctoring into its college bookstores. The retail bookseller has teamed up with ProctorFree to allow students to use financial aid disbursement to purchase test-proctoring sessions. ProctorFree provides proctoring services for students who take online exams. The service uses a computer's webcam and microphone to authenticate a student's identity and maintain identify verification throughout the test. It maintains a secure browser that can be customized by the instructor or the institution to grant or deny the student access to other resources online. When a student finishes the exam, it's sent to the test administrator for review. If "cheating-like behaviors" occurred during the test-taking, the service highlights those to allow the instructor or administrator to make a determination about possible fraud. In a blog entry, the company explained that the new agreement "alleviates the departmental budget constraints while simultaneously relieving further burden on the students. All your students have to do is include the test-proctoring sessions when they purchase their books and supplies." 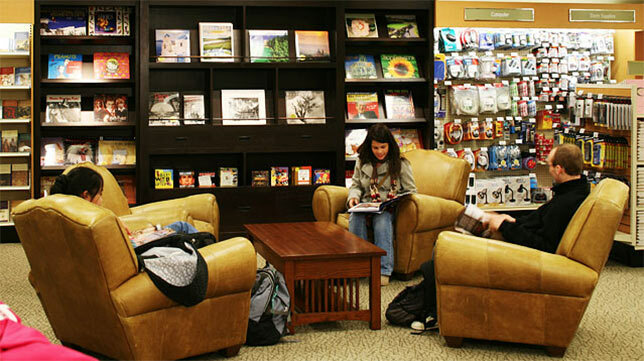 B&N is one of the largest contract operators of bookstores on college and university campuses. As of January, the company's College division ran 717 stores.